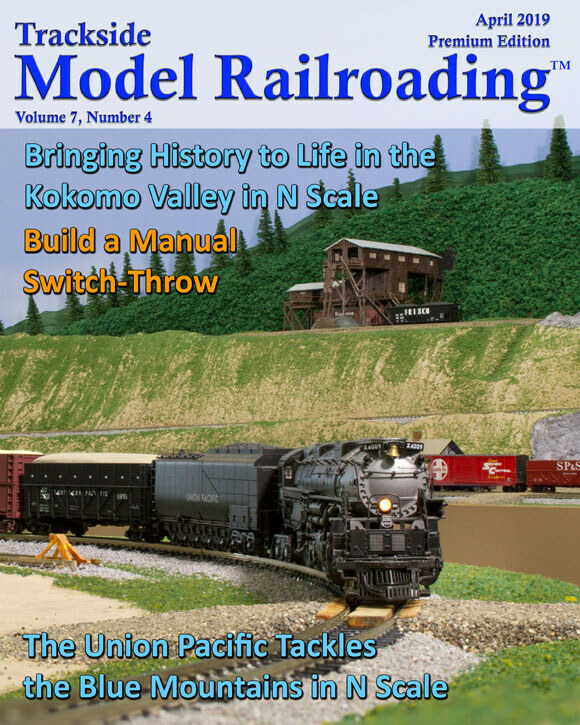 Trackside Model Railroading is the magazine for model railroad enthusiasts who want an in-depth view of layouts. We cover two layouts each month, including all fine scales. 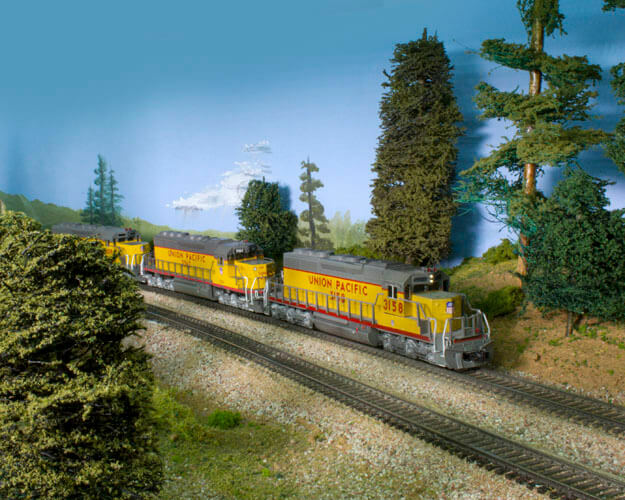 Our railfanning style includes video of the trains running on the layouts as well as an article and many photographs of each layout we share. We now offer a subscription to our monthly DVDs, which feature the same layouts we share in the magazine each month but with more content. The videos are usually 80-120 minutes and have much more video of the layouts and often bonus features and stories that are not in the magazine. Tour two layouts in depth each month with Trackside. Click here to read the current Free Edition of our magazine. 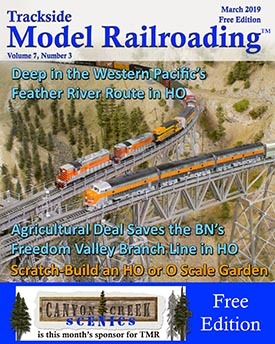 Trackside Model Railroading is a monthly digital model railroading magazine. Each month on the first, premium subscribers will get access to download the new edition. Premium subscribers will have access to download the Premium Editions that they have bought. All subscribers will have access to read the Free Edition on the 20th of each month. Our digital magazines are downloaded to your computer and are yours to keep forever, even after your subscription expires. Your purchases are not time sensitive. If you lose your download you can log in and re-download. Your account will never be deleted unless you request that it be removed. You can also contact us using our contact page about any missing issues and we will gladly help you access them again. We are here to help you out in any way we can. Premium users get the choice to download all three versions of the magazine in a zipped file that is intended for desktop computers. The zip file also includes two images that can be used for your computer desktop. We provide smaller versions of the magazine formatted for tablets and smart phones. The mobile version is an option if you are on a mobile data plan and need to conserve data. We recommend that mobile users download the zip file from a local hot spot and store it on a storage device for long term access. Each magazine includes two layouts which we have visited to film and photograph extensively. There are about 25-40 images per layout in the magazine, so you get to see many different scenes. You can zoom in on a picture if you wish. We want readers to feel that they have experienced a thorough tour of each layout. Accompanying the photographs is an article about each layout and its owner and high definition video of the trains running on the layout. 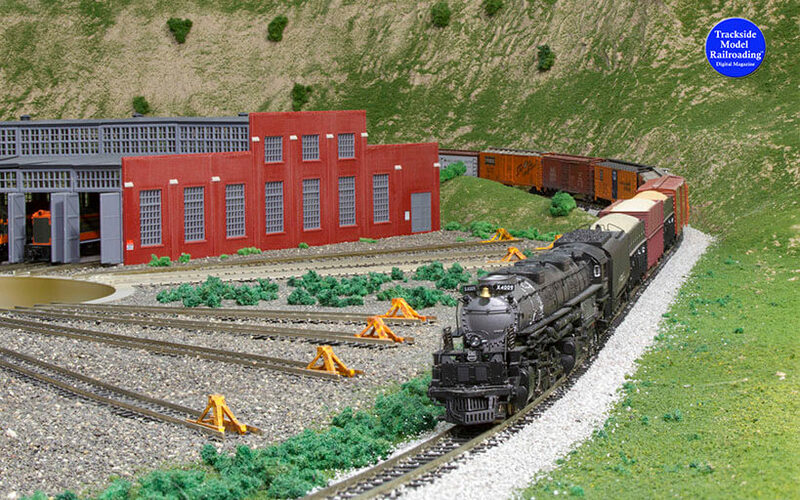 Prototypical railroad sounds are dubbed into the video of the models, giving the sense that you are railfanning the layout. We also sometimes include interviews with the layout owners about certain aspects of their layouts. The videos can be launched from the download page. Each month includes an article instructing the reader how to build or design something relating to modeling. Now and then, we include extra content like large panoramic images within the magazine that you can download and have printed to use as a backdrop on your layout. You can re-access the magazines as many times as you like, and it is fine to download them on your desktop computer as well as a tablet or smartphone if you wish. You can purchase a month here and there for $2.49 or purchase a full year subscription, making each month of the magazine just $1.25 per issue. If you have any other questions, please feel free to contact using our Contact Page.